How high are realtors' and lawyers' fees in Paraguay? What about other property purchase costs? How difficult is the property purchase process in Paraguay? There are no restrictions on the ownership of property by foreigners, who may also engage in commerce or industry without limitations. Once the Transfer of Deed has been notarized, a Municipal Tax on transfers will be paid. 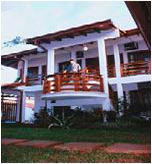 It is 0.3% of the property price, if the property is located in Asuncion or 0.2% if located in other cities in the country. The last step in the titling of the property is the registration of the notarized documents at the Public Registry by the Notary Public. The whole process of registering a property can be completed in around 46 days. Paraguay uses Paraguay Guarani. Exchange rate is at US$1=PYG5,791.62 as of 22nd June 2006. How landlord-friendly is the law in Paraguay?